Congratulations to Park alumna Lauren Benton ’73 on being named a 2019 Guggenheim Fellow! A prestigious distinction, the Fellowship recognizes exceptional capacity for productive scholarship or exceptional creative ability in the arts. Out of nearly 3,000 applicants, Benton is among one of 168 scholars, artists, and writers selected this year. Currently the Nelson O. Tyrone Jr. 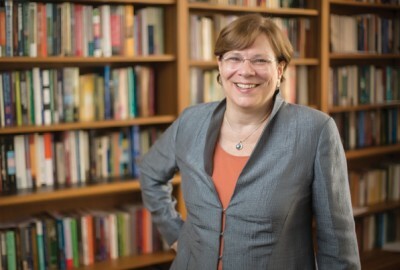 Professor of History and professor of law at Vanderbilt University, Benton's Guggenheim Fellowship is one of only three in European and Latin American history. She is an internationally recognized historian of world history, the legal history of European empires, and the history of international law. The John Simon Guggenheim Memorial Foundation was founded in 1925 by United States Senator Simon Guggenheim and his wife as a memorial to their son. The Foundation has sought from its inception to “add to the educational, literary, artistic, and scientific power of this country, and also to provide for the cause of better international understanding,” as the Senator explained in his initial Letter of Gift (March 26, 1925). Since its founding, the Guggenheim Foundation has granted more than $360 million in fellowships to more than 18,000 individuals. Benton is one of two Park graduates named 2019 Guggenheim Fellows, the other being Filmmaker Matt Porterfield ’95. Read more about Benton's work here. Cross Currents A seasonal magazine for Park School students, parents, and alumni. The Postscript The award-winning Upper School newspaper. Park Journal A collection of student work published twice a year. The Work We Do Park's official blog.